CiviCon North West Europe 2016 was a good one! This year we had the second CiviCon in North West Europe, which was in Woerden this year, a small town near Utrecht in The Netherlands. Before I tell you more about the event let me start by thanking our gold sponsors CiviCooP and Systopia and our bronze sponsors Orgis and IT4nonprofit. It would not have been possible without them! Although CiviCon was on 26 May, we sort of started with a very cosy pre-conference session with the people who were staying overnight. The day started with an inspiring session by coach Caroline Vos who asked us all to check what kind of ape we were. A good start of the day including the invitation to become part of we! We had about 45 participants, who had a choice between a good variety of sessions. 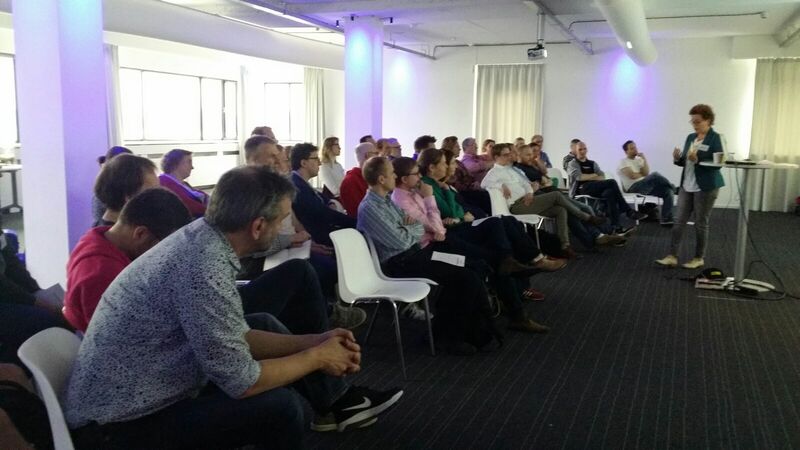 Some existing CiviCRM users like Amnesty International Flanders, Werk met Zin, the Socialist Party and PUM Senior Experts shared their story. Contributors like Björn Endres (Systopia), Erik Hommel, Jaap Jansma and Betty Dolfing (all CiviCooP) and Hans Idink (Orgis) shared their extensions in the extensions showcase session or had separate sessions. SCRUM trainer Hendrik Jan van Randen hosted a good session on using SCRUM in CiviCRM implementations.